Pole clamp (127mm) mounting accessory for Q6 and Q8. LS6320 Pole Clamp allows a maximum of one luminaire to be mounted to a 5.0" (127mm) pole. 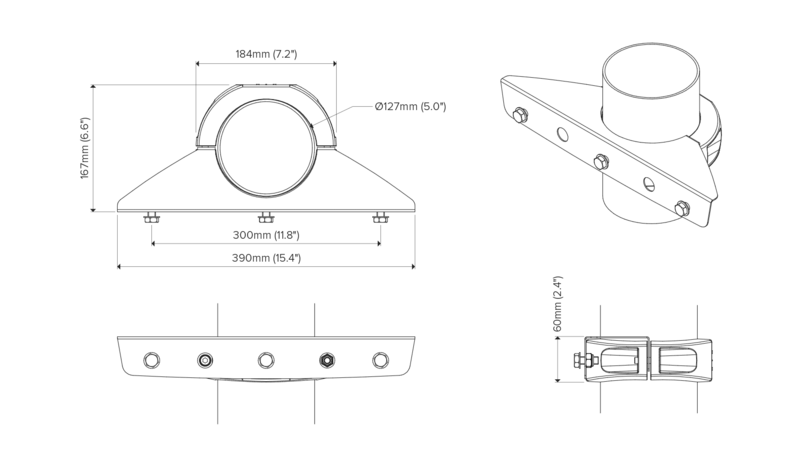 Luminaire must be ordered with 3G rated bracket.